Download "Lubin School of Business Bachelor / Master of Business Administration COMBINED BBA / MBA PROGRAM IN PUBLIC ACCOUNTING MAJOR TRANSFER STUDENT WORKSHEET"
B.B.A. DEGREE / QUANTITATIVE BUSINESS ANALYSIS MAJOR (REPLACES MANAGEMENT SCIENCE MAJOR IN FALL 2010) TRANSFER STUDENT WORKSHEET UNIVERSITY CORE (60 Credits) BUSINESS CORE (0 - Credits) BUS 150 Contemp. ARTICULATION AGREEMENT OF MOHAWK VALLEY COMMUNITY COLLEGE MAJOR IN ACCOUNTING (A.A.S.) WITH UTICA COLLEGE MAJOR IN ACCOUNTING (B.S. College of Business and Computer Science Troy Bethards, Dean Office: Taylor 103 - (417) 328-1757 http://www.sbuniv.edu/cobacs/index. 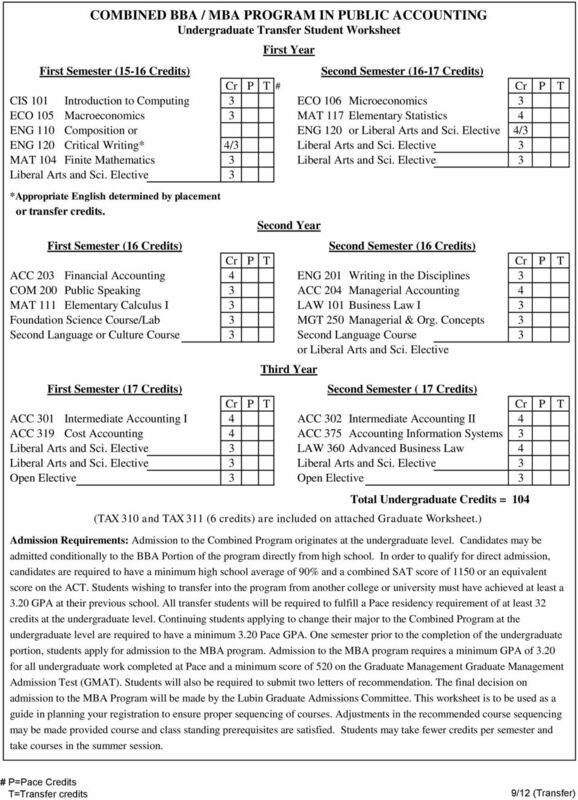 ACCOUNTING DEGREE PROGRAM (M.P.A.) The Master of Professional Accountancy (M.P.A.) Degree Program is designed as a professional degree program for individuals who desire to become Certified Public Accountants. 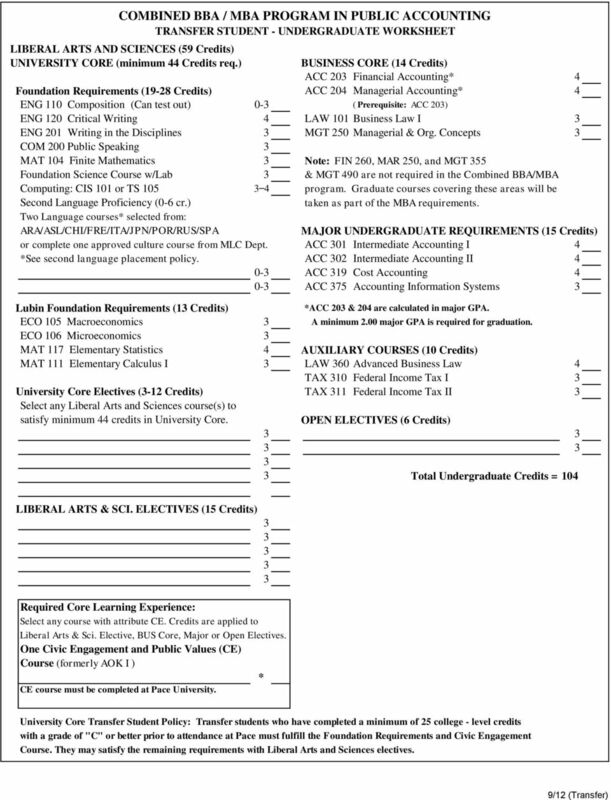 GENERAL GUIDELINES Credits Core Requirements 54 Note: The grade of C- or better is required for successful completion of every Core course. 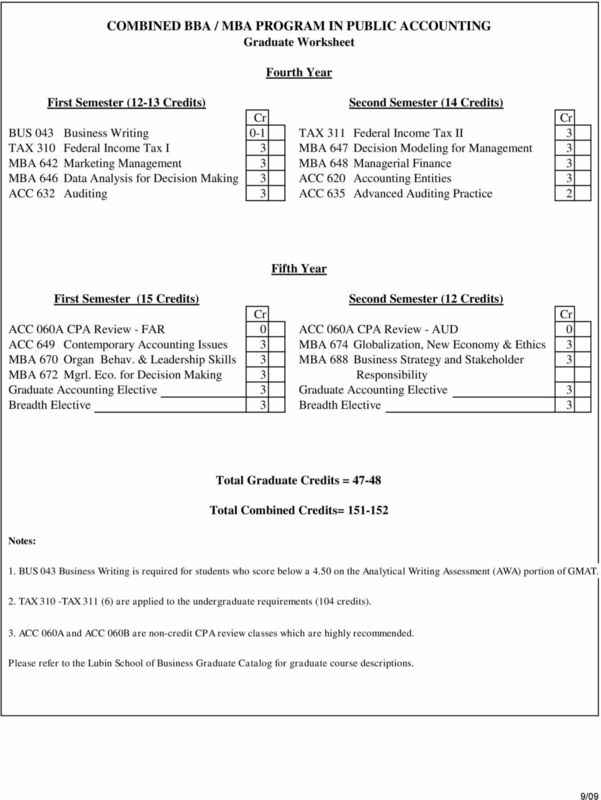 ACCOUNTING MAJOR Required Business Core (39 hours) Credit ECON 1041 Principles of Macroeconomics. ECON 1051 Principles of Microeconomics (ECON 1041). ECON 1011 Business Statistics (STAT 1772 OR equivalent). 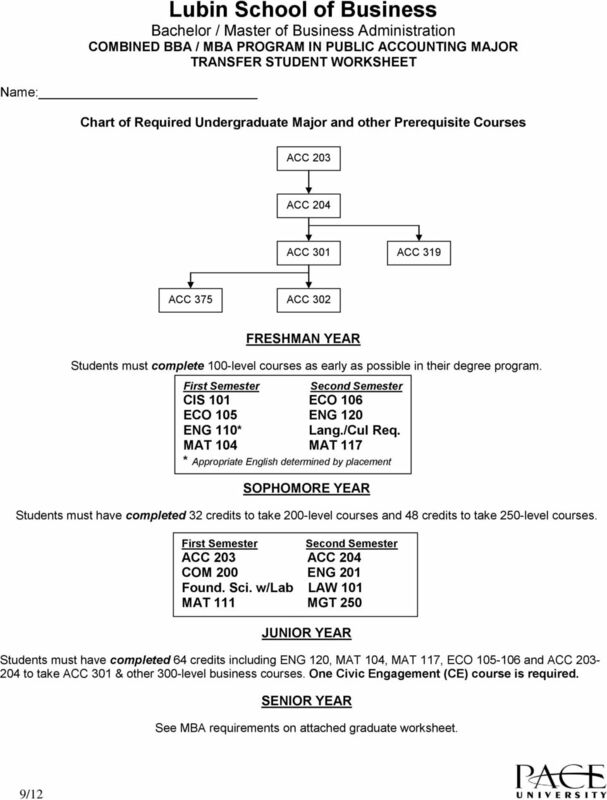 COURSE REQUIREMENTS FOR M.S. IN PROFESSIONAL ACCOUNTING NAME ADVISOR DATE Course number comp- currently to be Dept Number Course title of credits leted registered taken Total credits for MS degree 34 M.S. Accounting (ACC) At Western, we believe that the best accountants are those with the greatest breadth in their undergraduate education. 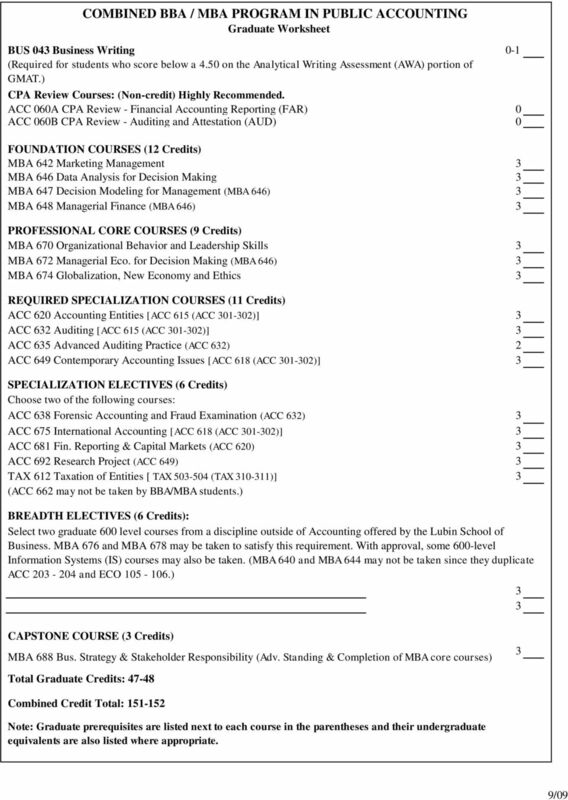 The table below summarizes the degree options, majors, and minors offered by the College of Business.